It’s our 6th anniversary, and to say thank you for making the past six years so great, we’re giving 30% OFF tickets for adventures from January 17th – 21st! Select your tickets below and apply promo code 6YEARS when checking out to receive your discount. Come celebrate with us! For climbers 12 and up. 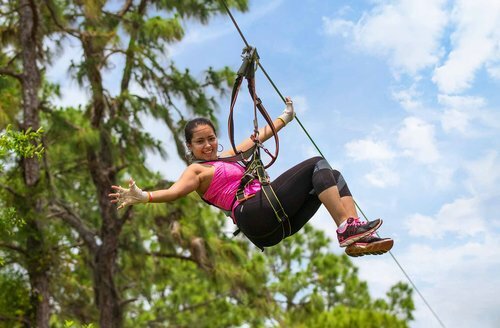 Provides access to all 5 courses, including the Extreme Lead and Summit Courses, and the giant TriUmph Zipline. MUST ALSO be able to reach the tips of their fingers with both hands above their head to a height of 5’11″ (180 cm) while keeping their feet flat on the ground. 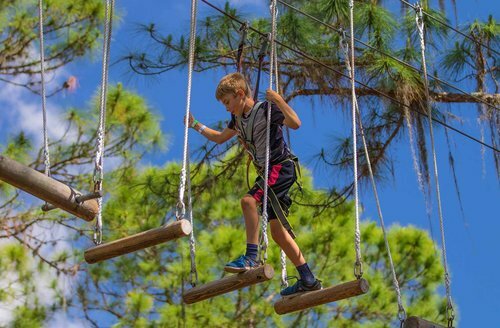 If participant is under 16 years old, they MUST be directly supervised in the trees or on the ground by a parent or guardian. Parents/guardian MUST sign a waiver if the participant is under 18 years old. MUST ALSO be able to reach the tips of their fingers with both hands above their head to a height of 5’9″ (175 cm) while keeping their feet flat on the ground. 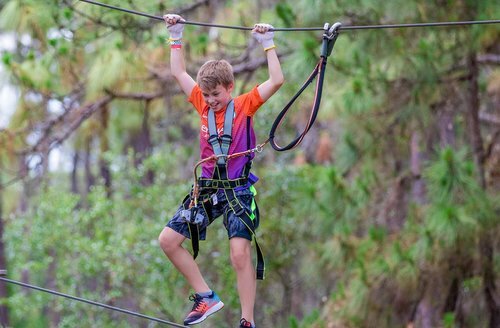 Guests under 16 must be directly supervised in the trees or on the ground by a parent or guardian. For climbers 7 and up. 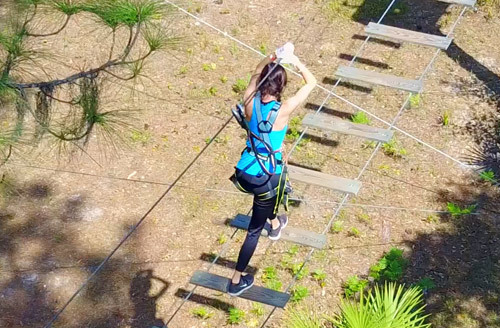 Provides access to the Ape Up course with three trips through. MUST ALSO be able to reach the tips of their fingers with both hands above their head to a height of 4’7″ (140 cm) while keeping their feet flat on the ground. MUST ALSO be directly supervised by an adult from the ground, an adult MUST remain in the Base Camp seating area to meet the children at the end of the course. Chaperone does not need to purchase a ticket and adults cannot climb on course with children. MUST ALSO be able to reach the tips of their fingers with both hands above their head to a height of 5’11″ (140 cm) while keeping their feet flat on the ground. For students with a valid ID card from a college located in Florida, same access as the Adult Ticket. For those climbers who just can't get enough. The Annual Pass is valid for one year and good for unlimited visits to TreeUmph! If you're planning a trip to TreeUmph! Adventure Course with ten or more climbers, We offer group rates! please call 941.322.2130 or find more info here.